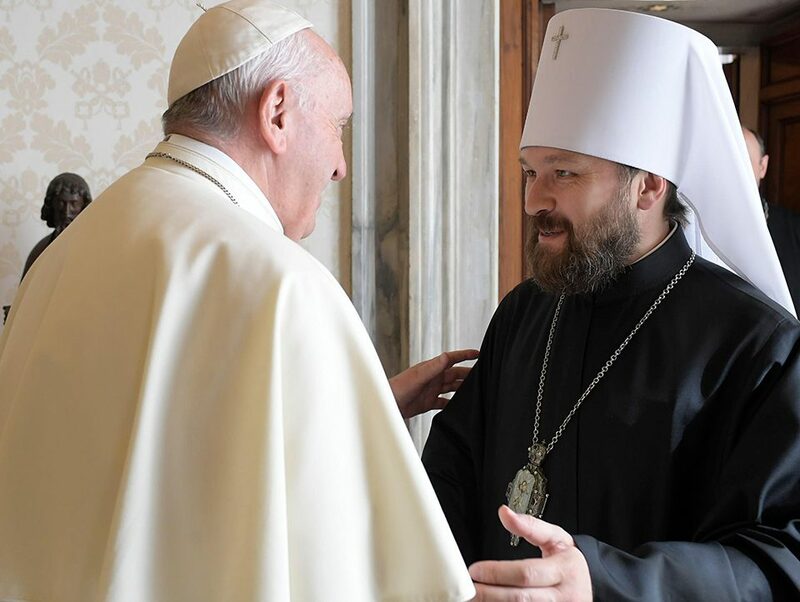 (virtueonline.org) The leader of the Orthodox Church in North America paid a call on Bishop Jack Iker during a recent visit to the Dallas/Fort Worth area. 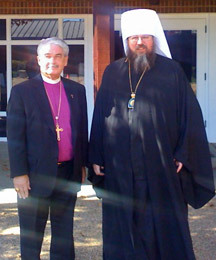 The two met for about an hour on Tuesday, Nov. 25, at St. Vincent’s Cathedral in Bedford to discuss mutual concerns and goals. 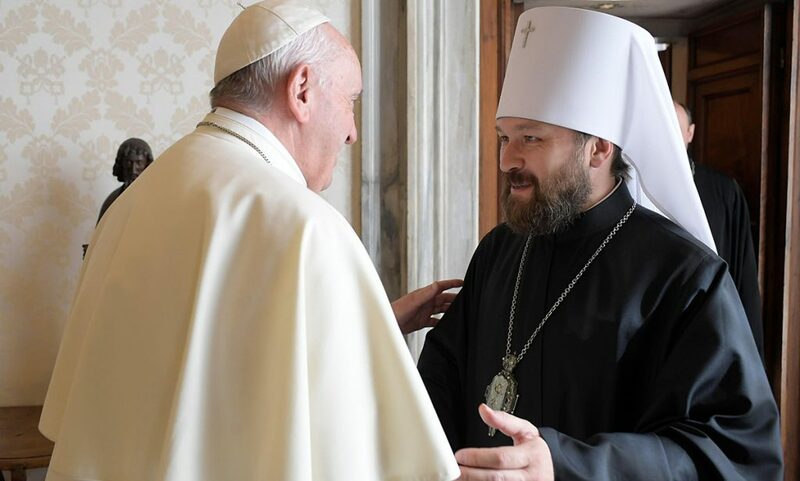 The Orthodox leader requested the meeting with Bishop Iker. 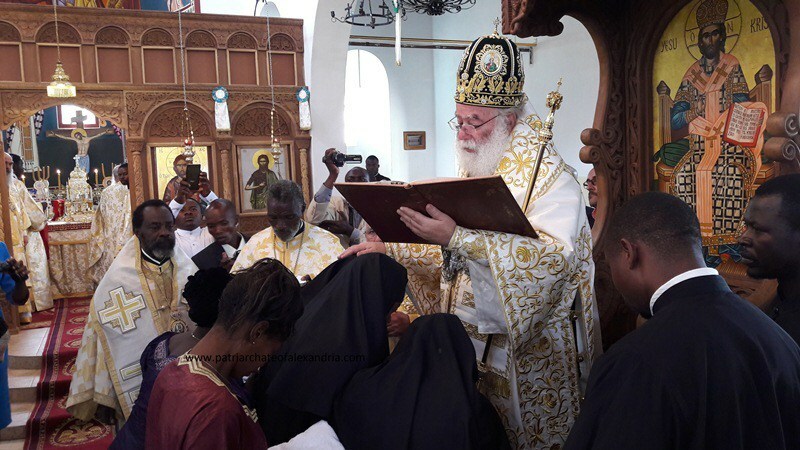 Consecrated the Orthodox bishop of Fort Worth and the South on Nov. 1, Blessed Jonah was elected Metropolitan of All America and Canada in a church synod just 11 days later. 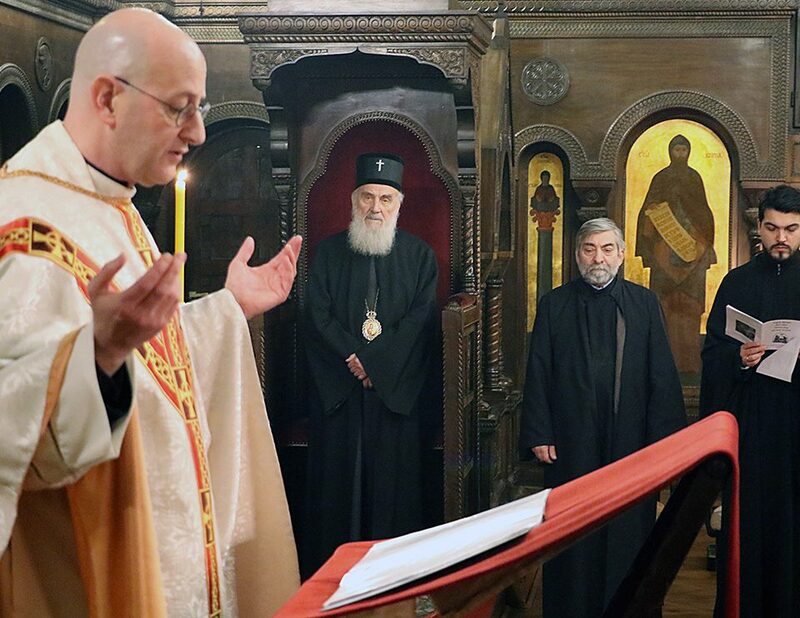 The Anglican and Orthodox churches have long enjoyed close theological affinities, having similar forms of worship and common roots in the faith. 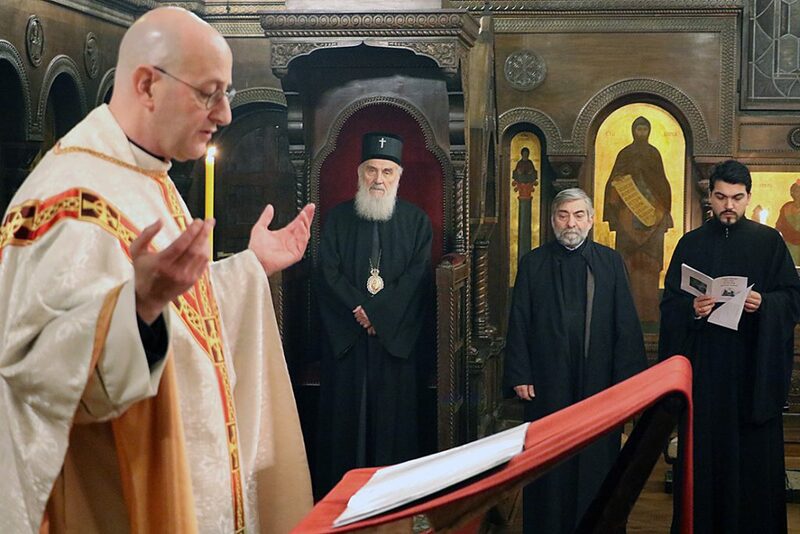 Metropolitan Jonah, who was baptized in the Episcopal Church in Chicago as an infant, commended Bishop Iker and the Diocese of Fort Worth on the mid-November decision of the Diocesan Convention to separate from the errors of the General Convention of The Episcopal Church. “There are multitudes of our American people who have been wounded in the “culture wars,” which have brought long-standing essential American cultural institutions – like the Episcopal Church – to doctrinal, moral, and institutional degradation and collapse.